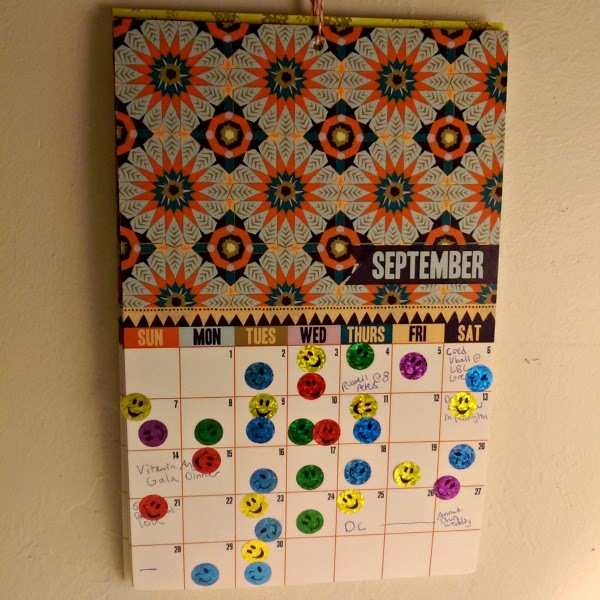 Anyways, since it's the first Friday of October, I'm sharing how I did on my goals in September along with five goals for this month on the Friday Five Link Up. 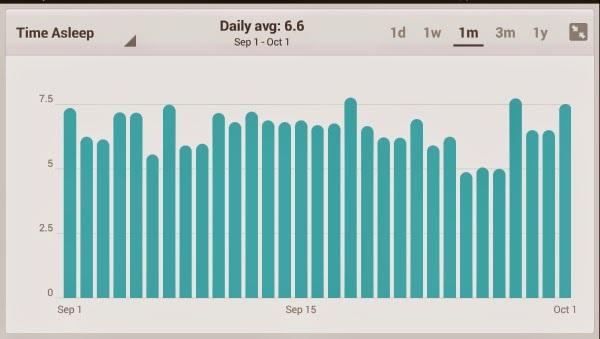 While I didn't hit every goal, I definitely did better than my August utter fail. Yay for progress! I still only managed to do this 2/4 weeks. I definitely need to find a challenge or program to motivate me. Any suggestions? Nailed it, loved it. You can read all about it here. I didn't lose my Fitbit again, but I fell juust short of this with an average step count of $9,845. So close to victory! This was my biggest success of the month! Through a combination of internet stalking, referrals, and actually making friends, I now have phone numbers for a TON of good beach volleyball players and was able to set up TWO games a week most nights. I know it doesn't sound that exciting, but being able to find people to play with totally makes me feel like I've "made it" and am more at home in my new city. As I mentioned during my last trip, exercising while I travel is really important to me. So I'm going to work hard to get in 4 workouts a week, even if they're just short 15 minute hotel room ab sessions some days. 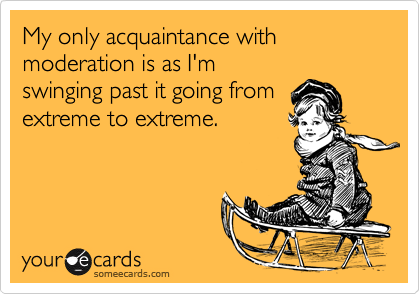 If you know me at all you probably know moderation is not my strong suit. And Indonesian food has some of the BEST food of all the places I get to travel. But I'm going to try to control myself. This is even harder when I'm traveling internationally and dealing with jet lag and a home office in a crazily different time zone. But it's also even more important to my health while traveling, so I'm going to work on it. I have a lot of awesome guest post submissions coming in, so I hope to keep the blog fairly active. I get to travel to some pretty amazing places for work, but I don't usually get to do much fun/touristy stuff. My schedule should be a little more flexible this trip, and I definitely need to make myself get out and have fun. Even if I don't feel like it. Q: What are you planning for this month? Anybody have tips for sleeping more, especially in strange beds. Hotel beds, that is. Your trip sounds like a great opportunity-have an awesome time! Congrats on your first 10K and have a safe trip! Wow, enjoy your trip! and I am trying to train myself to go to bed at a decent hour, shutdown everything before hand and just relax for the evening. It's tough! Make time for fun is a fantastic goal. 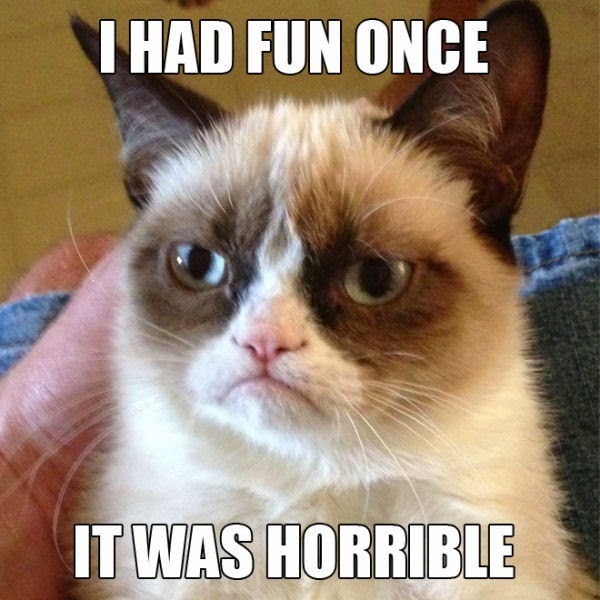 Go to bed early and get up an out for a fun filled day. Thanks that's a great way to look at it! Looks like good progress on the goals. I need more sleep too, and the tech is also partially to blame. Sometimes its for fun but others it's just when I finally have time to do some writing. You need one of those kid programs that will lock you out after 11, haha. Yea I'm definitely often up blogging at 11:30/midnight. Need to plan better and get things done earlier for sure. Have a safe trip. I def need to be better about eating in moderation while on vacation - I've never had Indonesian food, so I'll live vicariously through your photos! This information is so nice and fresh.